It’s been five days since I had my wisdom teeth out and my mouth still throbs with a dull, insistent ache. I haven’t eaten a satisfying meal in what feels like forever, and nobody is interested in indulging me as I whine about it. These are the worst of times. I am not exaggerating, I don’t care what Nick says. Also we have ants. And I’m almost out of pills. I am having a hard time mustering a kind word or the slightest enthusiasm for anything, so I’m phoning it in tonight, and leaving you with a poem and a recipe for Sole Meunière, a wonderful thing and a meal I could probably eat if someone else would make it for me. 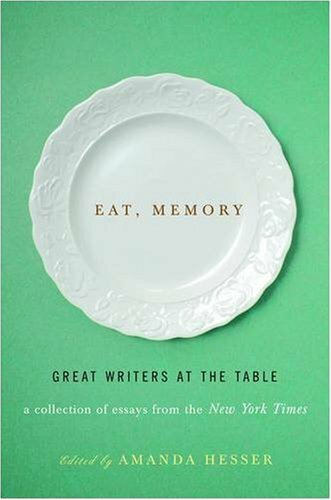 The poem and the recipe both come from Eat, Memory, a book of culinary essays from the New York Times, assembled and edited by Amanda Hesser. and surrounded by these dreadful murals of Sicily. Place the flour in a wide dish, such as a pie plate. In a large skillet, heat oil over high heat. Season fish on both sides with salt and pepper. Dredge through flour. Cook in the oil for two minutes, the flip and cook the other side a minute more. Pour off the oil in the skillet and wipe clean with a paper towel. Place the pan back on the heat, and add the butter. Cook the butter until it has melted and turned golden. It should smell faintly nutty. Add the wine, and boil for 20 seconds. Add the lemon and parsley, and cook another 20 seconds. You’ve just made a beurre blanc. It is fabulous. Pour it over the sole and eat immediately. Serves two.